The Canadian Friend 2017, Issue #2. 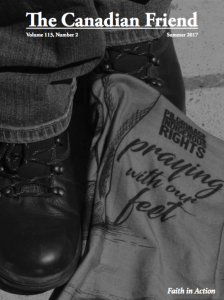 Themed “Faith and Action,” this issue features articles and reflections on activism, Indigenous rights, community, faith – and an attractive new layout. This beautiful issue was brought forth by outgoing CYM Editor, Reykia Fick. Many thanks and best wishes to Reykia while she spends this next year on a maternity break (a transition that was previously announced). As a reminder, submissions and communications about The Canadian Friend (and quaker.ca) can still be sent the same editor@quaker.ca address, where they reach Timothy Kitz, the current CYM Editor. 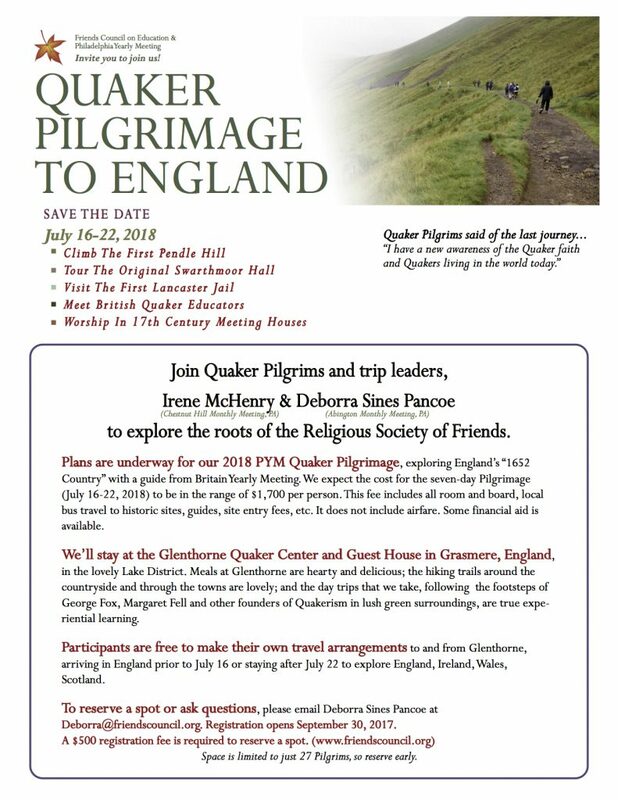 Registration is open for the 2018 Quaker Pilgramage, organized by Philadelphia Yearly Meeting and exploring England’s “1652 Country” with a guide from Britain Yearly Meeting. Friends United Meeting (FUM), is an association of twenty-six Quaker Yearly Meetings in South and North America (including Canadian Yearly Meeting), the Middle East, and Africa. FUM is searching for a new General Secretary. For details, please see the announcement on FUM’s homepage and the official Position Description (PDF). Note that applications are due by November 30, 2017. 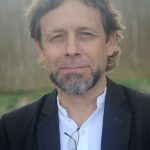 Western Half-Yearly Meeting (WHYM) is a Quaker gathering for Western Friends and visitors, hosted in Sorrento, BC each Spring and alternating between Alberta and Saskatchewan in the Fall. 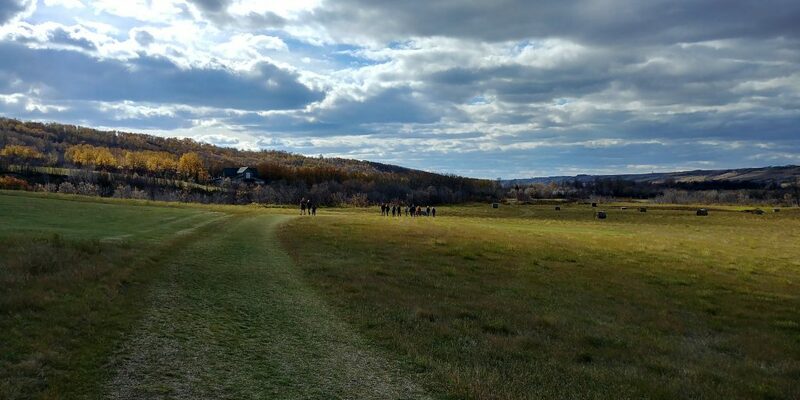 Friends from the Vancouver to Winnipeg gathered October 6th-9th for Fall WHYM in Shekinah, about an hour north of Saskatoon, on the Treaty 6 territories of Peoples including the Plains Cree and Métis. 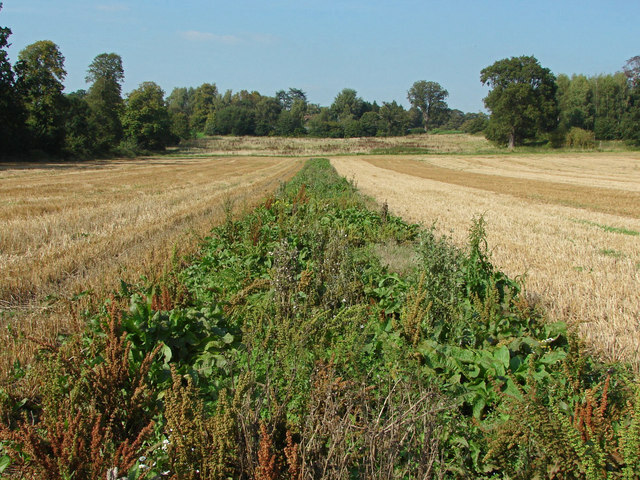 Here is this year’s Fall gathering epistle, to be shared with other Quakers around the world. Sweet silence shared in circles. Good food, fun Family Night. 2017 was designated as a ‘fallow year,’ where the Canadian Yearly Meeting would not gather for our CYM-in-Session. We invite Friends to share their perspective on this fallow year — whether or not you have attended CYM in the past. Responses are anonymous; responses received by October 31 will be compiled into a report to Fall Representative Meeting (Nov. 25).